Will your company be ready to manage rapid growth that can happen at a heartbeat? Do you have enough employees to take your business to the next level as we recover from our Great Recession? Do you have the right people, in the right places so you can take your business to the next level? If you want to become a fast growing company in this New Economy – then you need to hire and manage team members effectively. What should we pay them? How do we retain top talent? What is Employee/Organization Alignment and Why You Need It? In hiring new employees, gauge their passion for the work and for the challenge it represents. Identify the skills that are needed to support the continuing fast growth of your company. It could be marketing, sales, operations, or financial skills. Lastly evaluate how the person will fit into your organization. Fit essentially is how well the person will cope with the “way work is done around here” with the personalities, the pace and the customers. Now, take note that addressing the alignment issue without considering the transformability issue will likely result in hiring the wrong person. What is Transformability – And Why You Should Look For It When Hiring New Employees? Transformability is hiring the person not for the job as it exists today, but as it will exist tomorrow. Remember you are getting ready for a new phase in your business. This means, your employees will have to adapt to new ways, new ideas and new roles as you start to experience fast growth. You want to hire for the job as it will likely exist 12 months from today. Because, we are talking about a fast growth company and one of the characteristics of a fast growth company is: Things change fast! Think about the last time you changed jobs. While we all like to believe that we hit the ground running fast, most of us took time to assimilate into the new job, to the way work gets done, to what is and is not acceptable along with a myriad of other issues that pop up in a new, fast growing organization. Now consider this: You just started feeling comfortable in your work environment. You come to work the next day and the job has changed to keep up with the fast growth. Now, you need to use new skills and knowledge. Everything is different. This is a fact of life for fast growing companies. 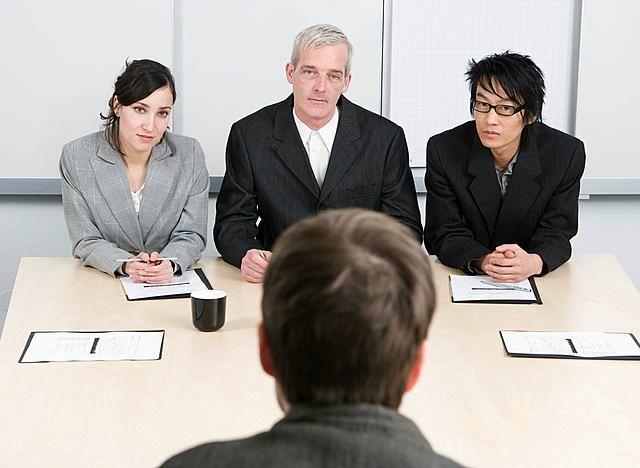 So, How Should Fast Growing Companies Hire for the New Economy? Think about how the job will look 12 months from now. Think about the skills that will be required. Start looking for job candidates who fit the future, not just the current job description and requirements. When talking with candidates, tell them what the job is today. Explain to them how you expect it to change over time as your company continues to grow in this New Economy. Let them know that you will fill the job position as it will likely exist in the future. This way you are being honest and your future employees will know exactly what to expect. You want to hire the candidates that are excited and energized by the idea that the job will change and not only will they have a chance to grow, but they will be expected and forced to grow within your organization. Fast-Changing Job Requirements are Not For the Faint of Heart or Bureaucrats! This kind of job ambiguity isn’t for everyone. But if you consider alignment and transformability as you start the hiring process, you are being honest with yourself and your future employee. The probability that you will hire and retain the right employee increases significantly and so do your chances of becoming a company that sustains fast growth in the New Economy.